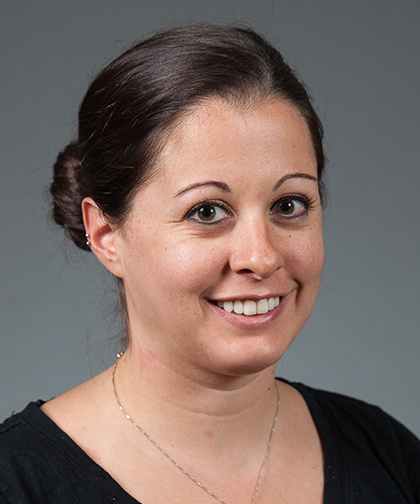 Theresa Serra, MD, joined the CHAM hospitalist division in 2014 after working as a pediatric hospitalist at New York Presbyterian/Lower Manhattan Hospital. Her interests include clinical research and medical education. She has conducted an IRB approved retrospective chart review examining readmission rates in pediatric patients diagnosed with osteomyelitis. Dr. Serra is currently developing a medical Spanish curriculum for faculty members in order to improve communication between patients, families and providers. Along with Courtney McNamara, MD, Dr. Serra is a co-leader of a multidisciplinary committee dedicated to standardizing and improving quality of care for patients hospitalized with the diagnosis of failure to thrive. Dr. Serra is also working on an initiative to identify vaccine delinquency in the inpatient setting through the use of SMART reports. Dr. Serra is also collaborating with Lindsey Douglas, MD, MSCR, in an IRB approved quality improvement (QI) project to improve transition-of-care communication between hospitalists and primary care providers and to facilitate the establishment of medical homes. Dr. Serra is also a member of a subcommittee that leads monthly journal clubs/case conferences for pediatric hospitalists.